One of the constants on my grandparents' farm was a tree under which we would park, play, and picnic. It always seemed to be large and so when I saw photographs before it was planted the farmyard seemed stark. It's fun to look back at the photos and see how we grew along with the tree. 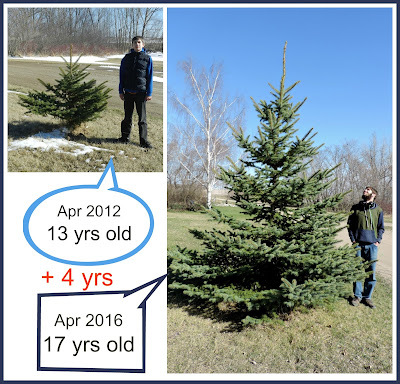 When we moved to our own farm in October 1999 the first thing we did was plant an 18" spruce tree that we'd brought all the way from Alberta 5 yrs before and had grown in a container while we lived in town. 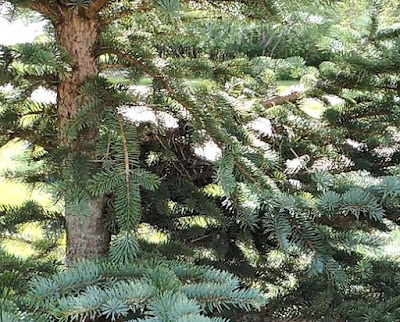 Once planted in the ground, the spruce grew slowly for 10 years. So slowly that we didn't realize it was growing until 4 yrs ago when it shot up 2 feet in one season. 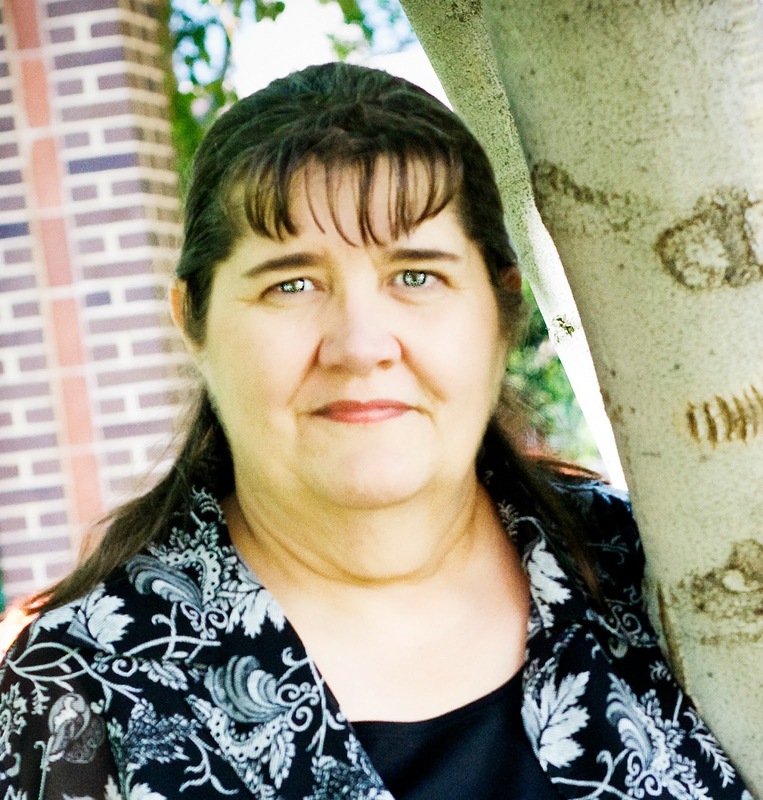 Just as parents measure their children against a door jamb, we take family photos standing in front of "the tree" because it's fun to look back and see how we all changed. There is one problem however, the kingbird and robin built their nests within a couple feet of each other and have been at war. This montage shows the tree with nest locations as well as one epic battle that took place on July 7th. There weren't any injuries as far as I could tell and life went on. 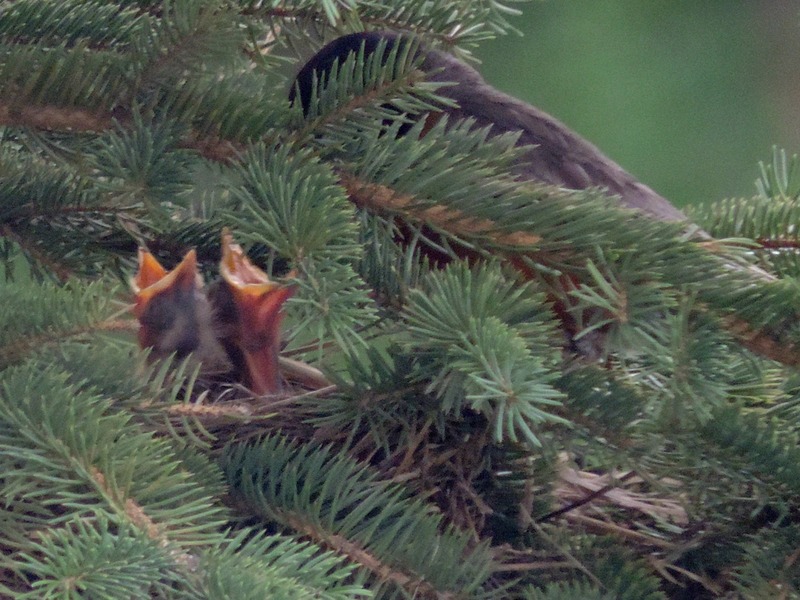 The kingbird babies hatched first and were practicing their flying by the time the robins hatched. One day momma robin was sitting on her eggs and the next day bobble heads stretched up for food. Both robin parents worked tirelessly to feed the 3 babies with momma doing the babysitting and poppa getting the food. She was rounder than him with lots of fluffy down feathers that blew in the wind like dandelion fluff whereas he was much more slim from running around. The babies grew feathers and looked cute with their ear tufts. 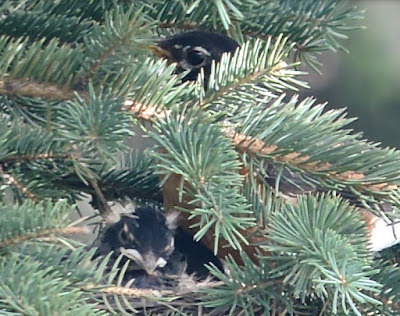 And then one morning I looked out the window while making my coffee and saw that the robins' nest was totally wrecked. I checked around and under the tree but didn't see any babies, and the parents haven't been back. I don't know if it was the kingbird, a marauding cat, or some wild animal. It's all destroyed. The kingbirds are still taking flying lessons but the juveniles are now hunting on their own. The thing is, this reminded me of neighboring countries who could live in peace if they want to protect their families, but choose to fight because they feel their territory is threatened. Such a waste. 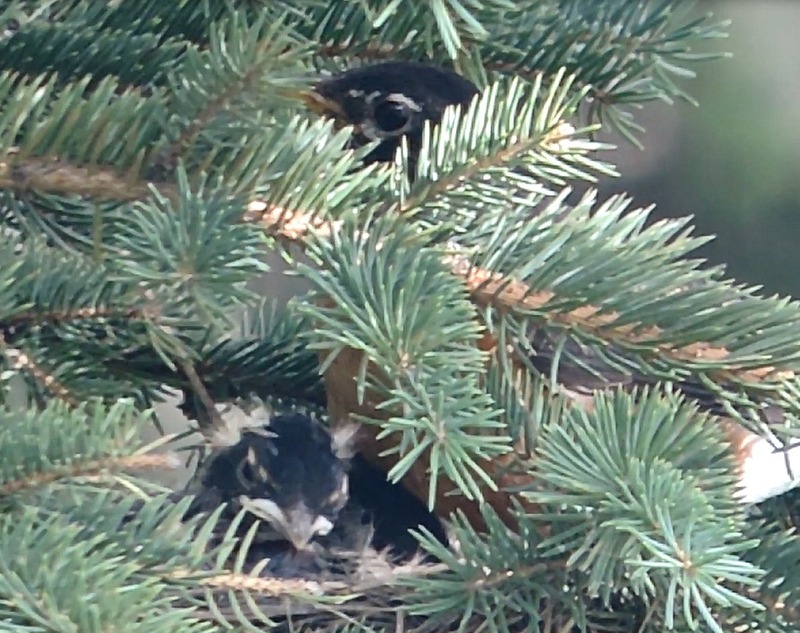 Have you noticed any nesting going around in your yard or area? We have a large spruce tree in front of our house. I can hear the birds and occasionally spot one but I have yet to find their nests. I was tickled to find a purple finch last summer though! I don't have a good picture though. Apparently we are on the south end of where the purple finch spend their summers. 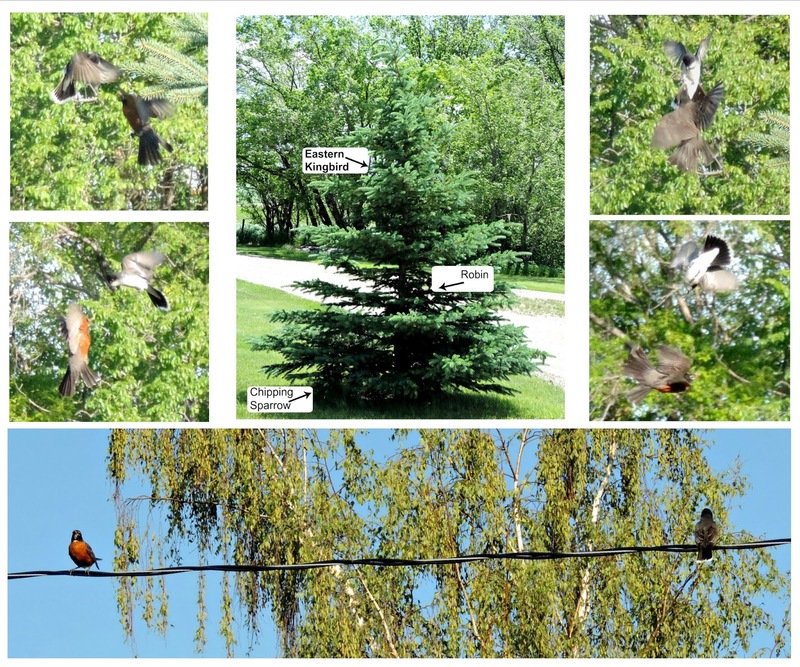 Robins are always in our spruce trees! This year one momma came back to a nest she'd left on the side of our house last year. I left it up thinking they wouldn't reuse it, but she built a new one on top. Just when the baby was hatched, the whole nest toppled to the ground. I spent a week keeping the baby bird out of the hot sun and rain. Oops. one day it was gone and it hadn't flown away. my favorites in the yard are my wrens. I love their songs! And - evergreens seem to go so slow and then all of a sudden, they've doubled in size! 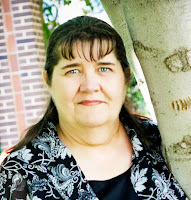 Deb, I knew the spruce would grow once it got its roots in place, but I didn't think it would be such a growth spurt. Like kids. Ha! Awww, poor little babies. That's so sad. The Perfect way to get Endorsements!